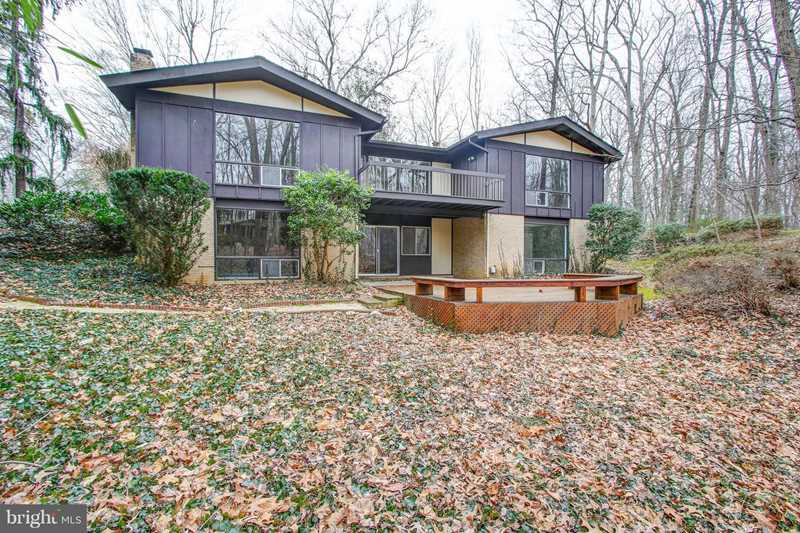 Sleek, Elegant, Contemporary Style SFH with Picturesque Wooded Views in Sought After Waterfront, Wessynston, Community in Alexandria, VA! As you enter the foyer you are greeted by refinished gleaming hardwood floors, fresh neutral paint, recessed lighting and a slate floor walkway leading to the Formal Dining Room featuring gleaming hardwood floors, glass door access to the rear upper deck and picture frame windows filling the room with Sunlight and wooded views. The Great Room enjoys gleaming hardwood floors, fresh neutral paint, wood burning fireplace with custom painted brick surround, picture frame windows and recessed lighting. The Eat-in Kitchen offers wood flooring, fresh neutral paint, stainless steel appliances, a custom built-in workspace, spacious pantry, recessed lighting and custom chandelier in the Eat-in space. The Main Level Master Bedroom Suite features gleaming hardwood floors, fresh neutral paint, picture frame window allows natural light to fill the room, two spacious closets with mirrored dressing space and skylights. The En-suite Master Bathroom offers ceramic tile flooring, standing shower with frameless glass enclosure and custom ceramic tile surround, single sink vanity with Corian countertop and under cabinet storage. From the Master Bedroom or the hallway, you can access the Sitting Room/Nursery offering gleaming hardwood flooring, fresh neutral paint and window for natural light. Main Level Bedroom 2 features gleaming hardwood flooring, fresh neutral paint, crown molding with custom decorative paneling, spacious closet and window with treed views. The Main Level also offers an additional full bathroom that enjoys ceramic tile flooring, standing shower with frameless glass enclosure and custom ceramic tile surround, single sink vanity with Corian countertop and under cabinet storage. Lower Level Bedroom 3 enjoys plush neutral carpeting, fresh neutral paint, spacious closet and a picture frame window offering a stunning treed view. Bedroom 4 offers plush neutral carpeting, fresh neutral paint, spacious closed, crown molding, custom decorative paneling, recessed lighting and window for natural light. The Lower Level Rec Room enjoys plush neutral carpeting, fresh neutral paint, wood-burning fireplace with brick surround, custom wood panel ceiling and picture frame window with treed views. The Bar Area offers wood flooring, built-in bar with under cabinet storage and sink, fresh neutral paint and sliding glass door leading to the lower level deck with custom wood seating. Community amenities include water privileges, outdoor pool, playgrounds, tennis courts and walking trails. Convenient commuter location, minutes to the Washington National Park and more! Directions:From Rt 1 take Old Mount Vernon Memorial Highway (Rt 235) toward Mt Vernon. As you get to STOP sign at Mt Vernon, turn left onto Mt Vernon Hwy and take 2nd left onto Wessynton Way. SchoolsClick map icons below to view information for schools near 3319 Wessynton Way Alexandria, VA 22309. Home for sale at 3319 Wessynton Way Alexandria, VA 22309. Description: The home at 3319 Wessynton Way Alexandria, VA 22309 with the MLS Number VAFX864814 is currently listed at $651,000 and has been on the Alexandria market for 84 days. You are viewing the MLS property details of the home for sale at 3319 Wessynton Way Alexandria, VA 22309, which is located in the Wessynton subdivision, includes 5 bedrooms and 3 bathrooms, and has approximately 1701 sq.ft. of living area.